Beauty Blog by Angela Woodward: What is the Best Shampoo for Oily Hair? I was asked this gem in the comment of one of my early posts called How can I Get Rid of Grease in My Hair? First things first, I am a HIGE believer in conditioner, so I will not be recommending just shampoos, but their conditioner counterparts as well. These are the best shampoo and conditioner duos for oil hair. I am going to lay on you the best three duos to use for oily haired people, as well as three shampoos to avoid! This brand was co-founded and created by Jennifer Anniston and her stylist (Chris McMillan). They were both looking for a hair product line that was free of sulfates, parabens and silicone. While there are several sulfate free lines, finding one without silicone is hard to do. Enter Living Proof. This line is awesome! Every product in is safe for color treated hair and gentle on your hair. 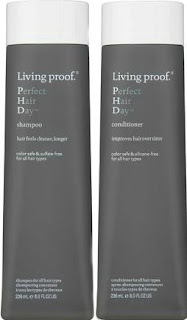 They boast that Living Proof product leave your hair feeling cleaning longer, and they do, especially for oily haired folk! In fact the only issue I have with the PHD (perfect hair day) line is that the lack of silicone is hard for some to adjust to. When you put on your conditioner you don't feel the immediate softness and slip you are used to so it feels as though your hair is not being conditioned. But you would be wrong, it is being nourished, and as soon as your hair is dry you will feel it (or as they say at this company, as soon as your hair dries you will become the living proof). American Crew is the leader is men's products. 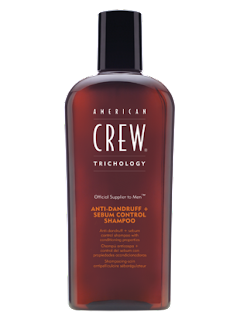 However as a stylist that works in a salon that sells American Crew, and I can tell you first hand that I know that American Crew products are loved by many women as well! This shampoo tried to address two issues that usually conflict with one another, dandruff and oily scalp. This product conditions the hair, invigorates and exfoliates the scalp and helps to control oil in one fell swoop. I do recommend using a conditioner with it though. The American Crew Daily Conditioner is a good pick, or I feel it pairs well with Redken All Soft Conditioner. This is in my opinion the best shampoo and conditioner you could possibly get for oily hair. The Kerastase Bain Clarifiant is the shampoo and the Kerastase Bain Divalent is the conditioner. Now I know what you are thinking - Clarifiant, that sounds like a clarifying shampoo, won't that be to harsh for my hair? Well the answer is yes, it is a clarifying shampoo, but it is not to harsh for consistent use. Kerastase is the authority when it comes to high end luxury brands, and uses only the best of the best ingredients in their hair care. This clarifying treatment isn't a harsh exfoliant like most, it is a treatment for your hair. They use Lipacid and Salicylic acid to deeply cleanse the scalp and control sebum production (sebum is oil for those of your who didn't know). They also have a coolign agent to help the scalp feel refreshed as well as vitamin B6 to nourish the scalp and hair. a shampoo and conditioner for oily hair. 1- Mint and Tea Tree (or other oil bases)Things like mint and tea tree are invigorating for the scalp and help exfoliate but they also leave heavy oils and conditioners in their wake. You don't need more of that! I'd stay away from shampoos like Paul Mitchell's Tea Tree oil. Don't get me wrong I love this product, but it is not for those with oily hair. And along that same line products like the Exquisite Oils line from Biolage and Diamond Oil form Redken, are not going to work for you either. 2- Sulfate Free ProductsNow I know that I just recommended you use Living Proof which is a sulfate free line, They key here is that it is also a silicone free line. Remember when in that same paragraph I said sulfate free products are abundant but silicone free products are few and far between? So consider Living Proof an exception to this rule. Normally sulfate free products do not strip the scalp of their natural oils and conditioners, which is a good thing, unless you have a massive excess of those oils. 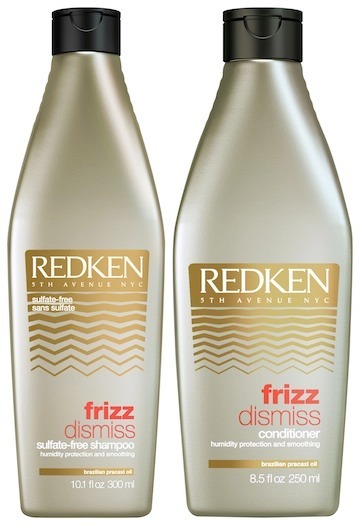 Two of my favorite product lines are Frizz Dismiss and Color Extend Magnetic both from Redken, both amazing, both a bad fit for oily those trying to fight oily hair and scalp. 3- Cowashes and Cleansing Conditioners. These two in ones are best for those with heavy and thick hair, and provide heavy and thick two in one conditioning and cleaning. Not only are they sulfate free but they are heavy as all get out. I love the Pureology Cleansing Conditioners, but they are not a good fit for those with oily scalps. Thanks to Anamika for asking this question! Best Shampoo For Oily Hair. The body shop banana shampoo for oily hair is the best shampoo for oily hair. Its powerful elements make the shampoo strong to fight against the sebum glands. This shampoo also gives you shiny, tone and recharging hair. Another thing is that this shampoo has good smell and its feel better to you. This best shampoo for oily hair also solve your hair loss, dandruff and skin problem. The color of this shampoo is yellow. I have heard of the Body Shop Banana Shampoo and I have used it. I take the ingredients in my hair care very seriously, and as a professional that has studied the ingredients in hair care I only recommend the best products with the best results and the best ingredients. I do not feel The Body Shops Banana Shampoo or Conditioner fall into this category. I can assure all my readers that I update many of these posts as my knowledge and opinions change! All my life I have used the same products. I was a faithful buyer until I encountered a stylist who analysed my hair. She advised me to change hair care products because what I was using was doing more damage than what it was "healing." So I began my search! I started experimenting and investing on different types of shampoo brands/formulas. Two weeks ago I found a perfect hair care product for me, something that I believe in. Its cruelty free, 100% Vegan, no parabens or sulfates. There are lots of benefits I am reaping from it and I would like to share it with you... This is the personalized treatment I am using... https://bit.ly/2ESkC5O I think you should check it out.